Two Major development of last few days has been that India’s Longest Landbased nuclear-tipped ballistic missiles ” Agni-V” has started the process of operationalizing nuclear-tipped missile into Strategic Forces Command (SFC) which will soon begin a second pre-induction trial of Agni-V soon. 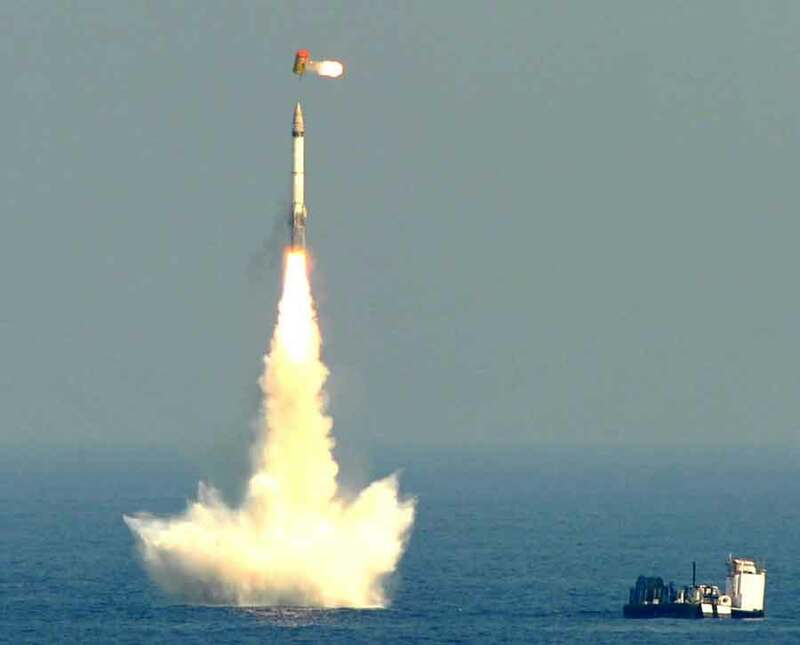 India also has now confirmed that 700km “B05 submarine-launched strategic missile to has been fully operationalized and another long-range submarine-launched nuclear missile K-4 (3500km) to has cleared developmental trials and is now closer to induction. DRDO which started work on K-5 SLBM a few years back with a reported range of 5000km is preparing to assemble the first missile for partial developmental trials likely to be conducted in secrecy from a submerged underwater platform in the Bay of Bengal which will mimic a submarine. The government of India also has cleared development of K-6 SLBM project two years back. K-6 SLBM will have a range of 6000km and also will be first Indian Missile system which will feature MIRV capable warheads which will stretch its range by another 1500km. Last year India quietly launched improvised INS Arighat which is a sister-class ship of Arihant-Class ballistic missile submarine and is almost completed work on Aridhaman Class missile submarine S4 and S4 ‘star’ which have displacement over 1,000 tonnes more than the Arihant class. Aridhaman Class ballistic missile submarine will feature K-5 SLBM along with K-6 in near future, while it will also be capable of carrying double the number of missiles which will ensure that even B05 and K-4 missiles will be equipped onboard. After the development of Aridhaman Class, ballistic missile submarines are completed, India will start work on the development of a new series of 13,500-tonne ballistic missile submarines. Called the ‘S-5’, it will be twice the weight of the Arihant class SSBNs and armed with 12 nuclear-tipped missiles.